Though you may have impeccable oral habits at home, your teeth and mouth can still be at risk for health issues. With regular visits to Crown Dental Group, we can detect and treat problems early to keep you healthy in the long run. The team at Crown Dental Group is committed to keeping you informed and in control throughout the entire treatment process. We think that involving you in your care is one of the best ways to help you feel emotionally invested in your oral health. We will carefully explain all of your options so you can make a well-informed decision moving forward with your treatment. Please don’t hesitate to ask us any questions you may have. We want to make sure that you feel completely comfortable and educated before committing to any treatment. Our process of evaluation and treatment planning is very thorough and well thought out. We will take all the necessary time to analyse your oral health, your needs and your preferences to customise the right treatment plan for you. We recommend that you have a dental check-up every 6 months, though we may advise you to see us at a different frequency depending on your condition and history. Using specialised instruments, your dentist scrapes and removes tartar, calculus and stains from your teeth. We’ll give you instructions and guidelines about properly cleaning your teeth and gums and keeping them healthy. Teeth, mouth and gums are evaluated for any changes or signs of dental issues. If any are present, we may suggest a particular treatment. Radiographs allow us to look deeper into your oral health for problems such as decay, gum disease or cysts. 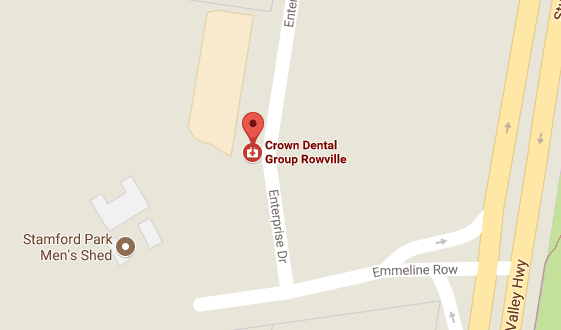 Here at Crown Dental Group, we are passionate about offering a superior customer experience. We want to make sure that every patient that walks through our doors feels comfortable, well cared for, and that their health is our top priority. This is why we maintain great relationships with our patients – we like being thought of as the friendly family dentist. We are also committed to offering high-quality dentistry at affordable prices so that our patients have access to a superior level of care without breaking the bank. We accept insurance and offer payment plan options to help make treatment a viable option for everyone in need. For more information about our different payment solutions, click here. We are preferred providers for HCF and CBHS. All health insurances are accepted. We have a HICAPS machine on-site to process your claim immediately. We also accept patients under the Child Dental Benefits Scheme, Department of Veterans’ Affairs Dental Programme, Victorian Dental Scheme, as well as the Victorian Dental Scheme for Dentures. Crown Dental Group is affiliated with Gem Visa. We offer patients 12-month, interest-free financing on treatment plans that are above $2000. We are proud to have an on-site laboratory that provides our patients with outstanding, quality restorations. This means that the dentist and the dental prosthetist work very closely with the lab technicians to create beautiful custom-made dental appliances. The on-site lab also means that treatment can progress faster because work is begun on your restoration as soon as it is prescribed, and adjustments and repairs to the restoration can be completed on the day of your appointment. We know many of our patients juggle crazy, busy schedules. That’s why, in addition to our Monday-Friday hours, we’re also open on Saturdays from 9am-2pm.